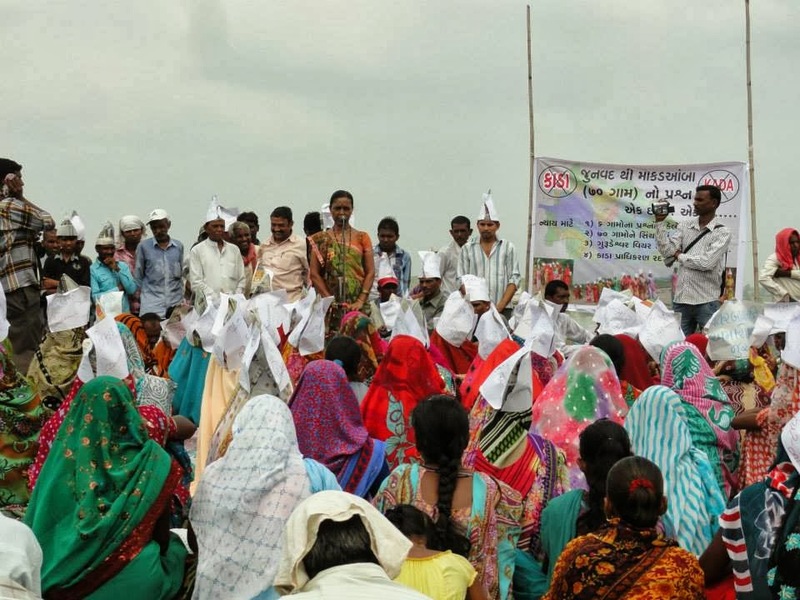 The meeting took place against the backdrop of the Gujarat government’s strongly-worded letter to sarpanches of 50-odd villages to either comply by its decision to include their land as part of the Kevadia Area Development Authority’s (KADA’s) plan to convert the area around the Narmada dam into a high-profile tourism spot or face consequences. The letter was written in March 2013 by the chief executive officer of KADA, which comes directly under the state urban development department. On October 1, the state government tried to do some damage control exercise ahead of the villagers’ meeting, which took place on at Indravarna village. The officials, who called sarpanches of these villages, told the sarpanches called for an urgent get-together at Shoolpaneshwar temple on Narmada river’s bank, that they wanted to clear some “misapprehensions.” However, as the sarpanches failed to get a satisfactory answer, the villagers continued with their meeting. Dharmapur, Dakshaben Tadvi from Pichipura, Lakhan Mussafir, the meeting was attended by several activists, including Aditi Chanchani, a researcher with Equations, which is an NGO which works on tourism issues and social impact assessment; Rajesh Mishra of Arch-Vahini, which is working among tribals of the area; and Badribhai Joshi, an eminent Gandhian fighting for farmer's rights. Representatives from other NGOs which were present on the occasion were Gujarat Sarvodaya Mandal, Paryavaran Suraksha Samiti, Sahiyar, Jyoti Karmachari Mandal, People's Union for Civil Liberties, people from Dangs and Manviya Technology Forum. A statement issued at the end of the meeting said, “The speakers raised various issues linked to how can we trust the government to do justice to 70 villages when the issue of the six villages since 1961 remain unresolved.” The reference was to the six villagers whose land was taken away to build the Narmada dam. Of the 70 villagers, 16 are such which have already been included in KADA, while the rest are allegedly facing the “threat” from KADA. 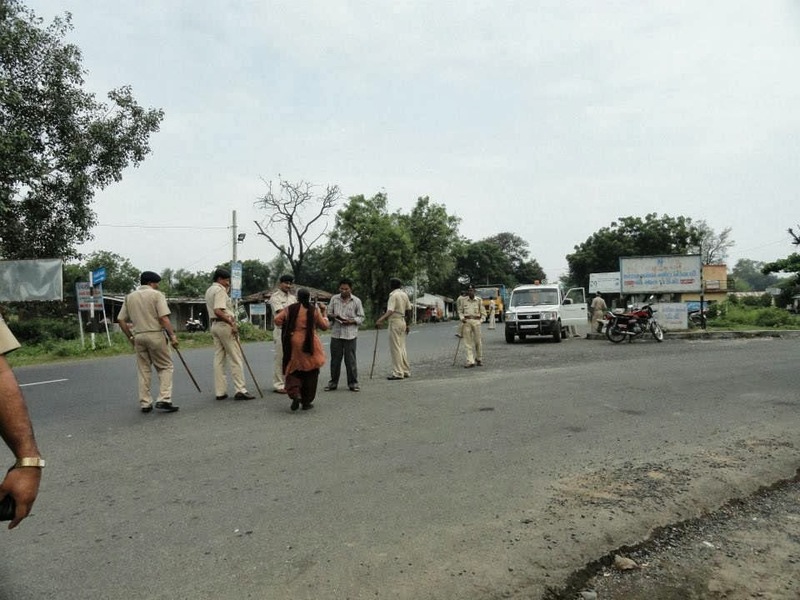 The statement regretted that though chairman of the Sardar Sarovar Narmada Nigam Ltd, chairman and CEO of KADA, and the Narmada district collector were invited for a dialogue at the meeting in order to present their views before the villagers, the authorities reacted with police force being sent on the spot of the meeting. “We regret to state that they chose to remain absent from the meeting, which is unfortunate”, it added.